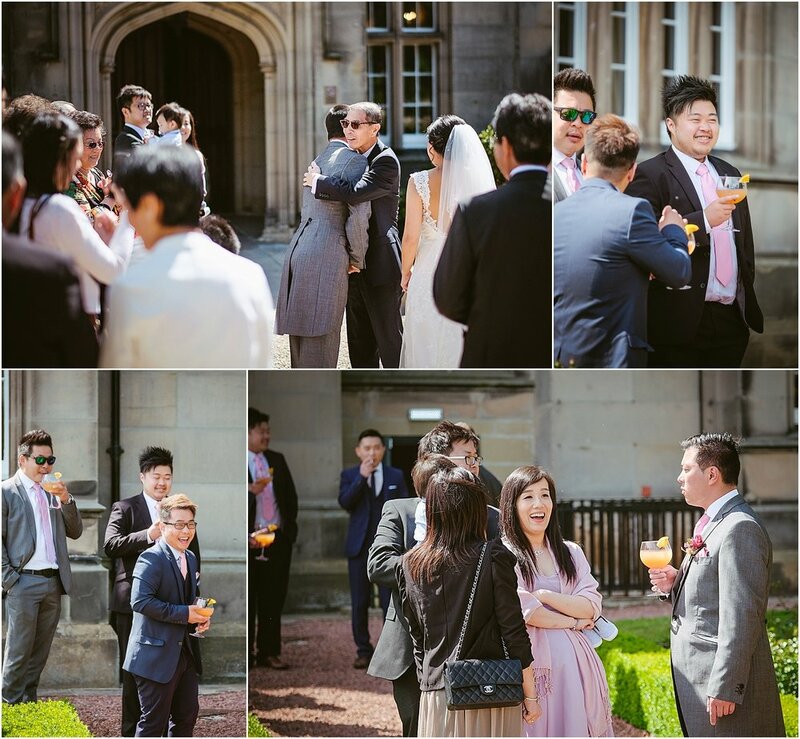 We are no strangers to photographing Chinese weddings in Newcastle. 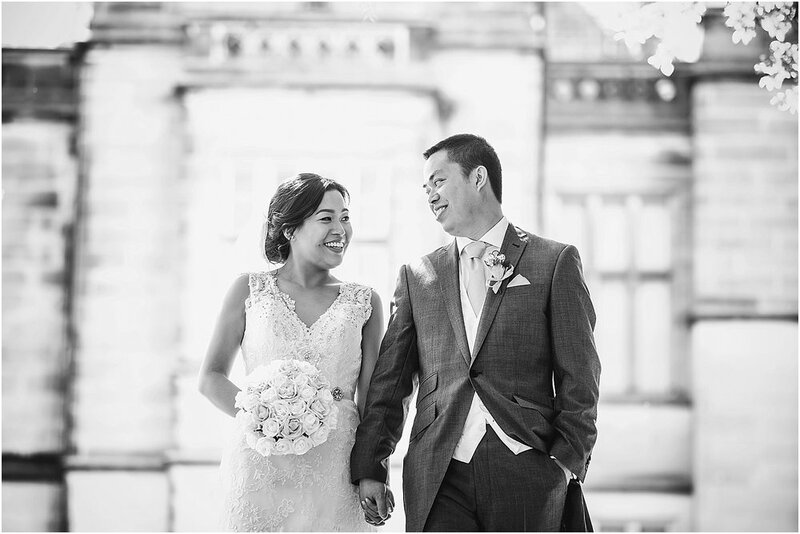 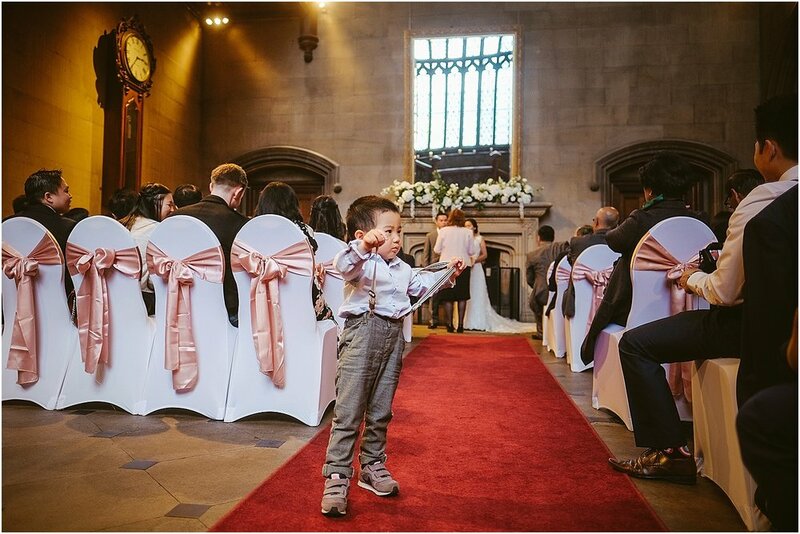 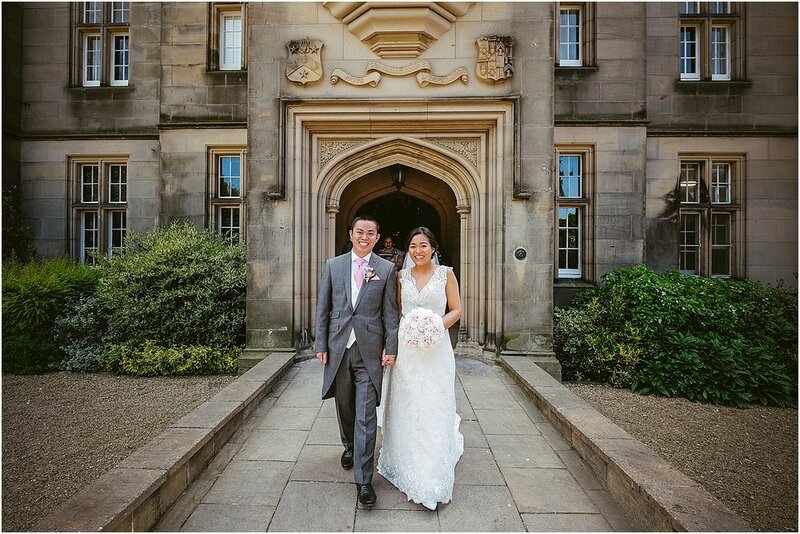 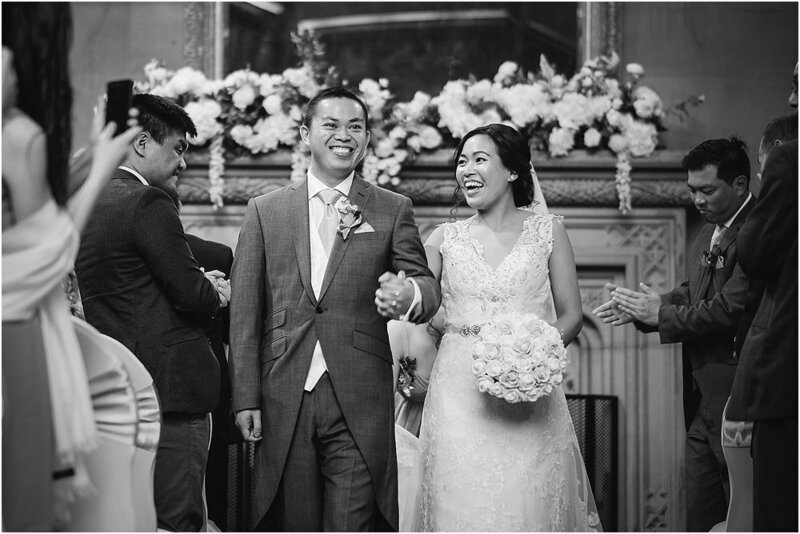 Over the years we have had the joy of attending and photographing countless Chinese weddings for local couples, and we have had the pleasure in creating long lasting friendships within the Newcastle Chinese community. 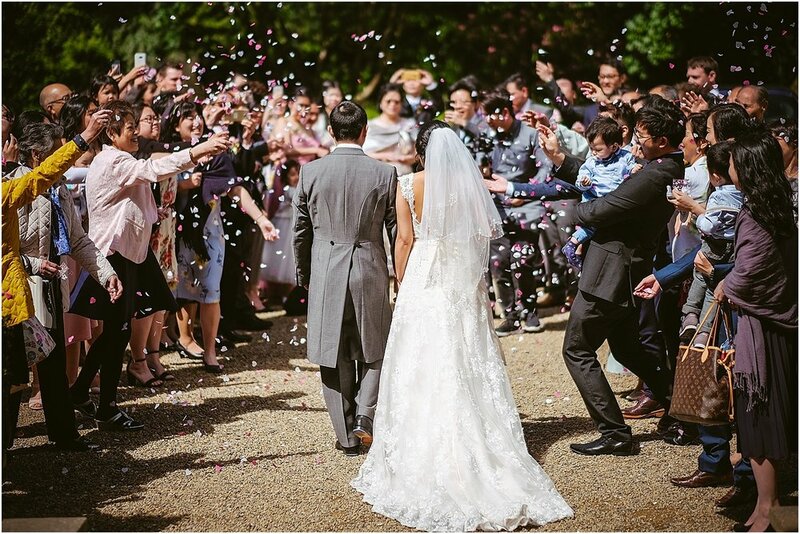 We know and understand the traditional Chinese wedding customs, the fast paced fun of the day and we know that they are never the same twice. 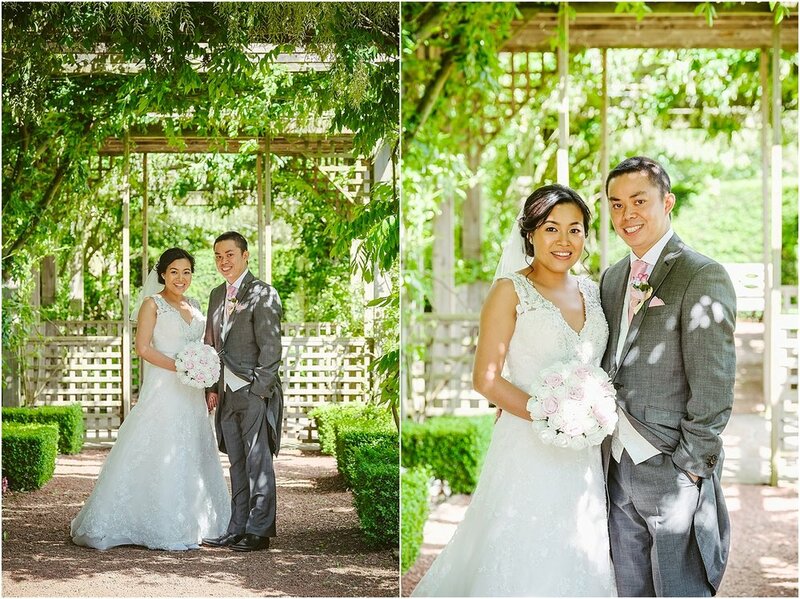 Fiona and Rico’s big day was one such wedding. 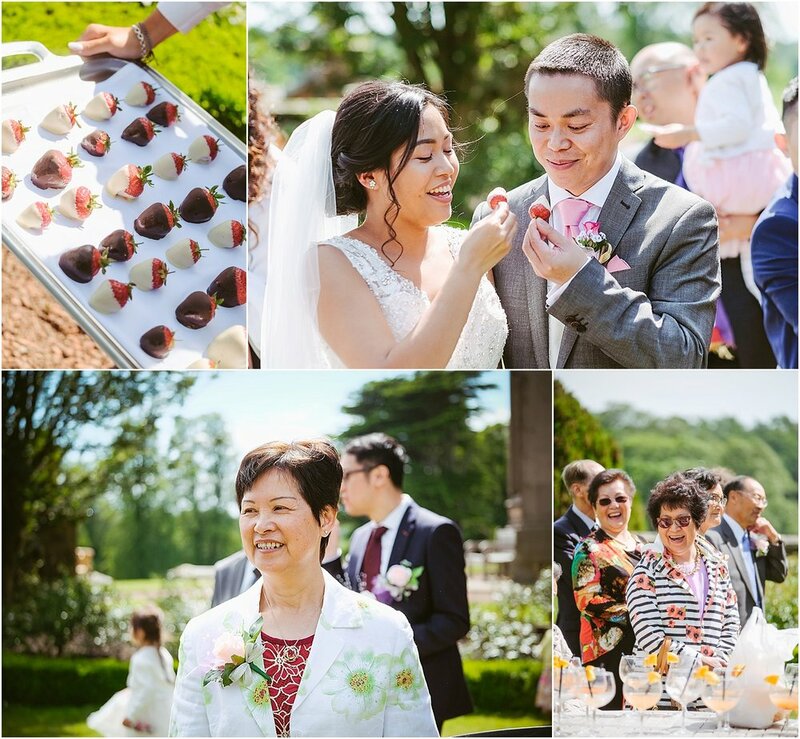 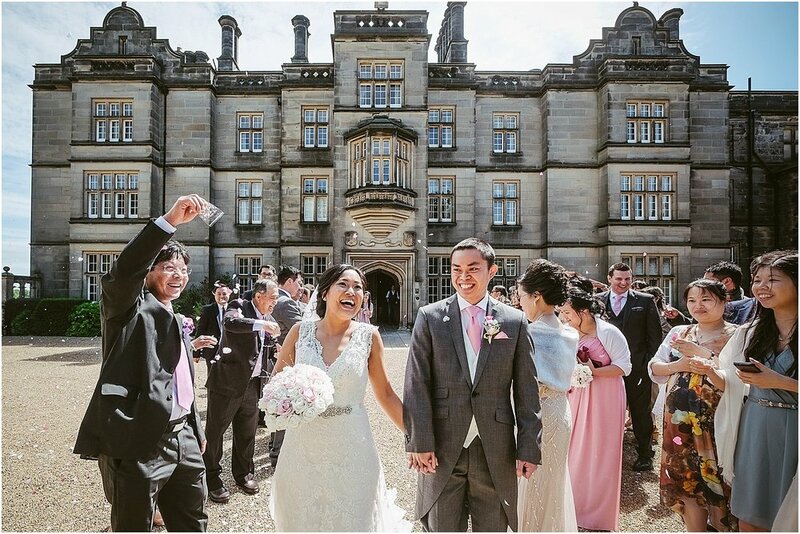 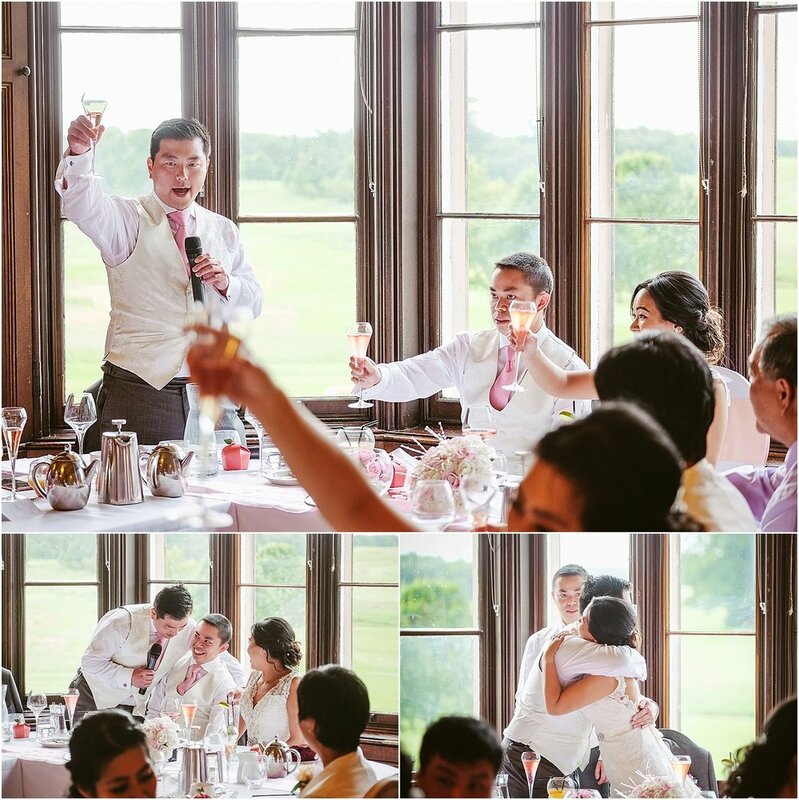 It was a feast for the eyes, Chinese wedding customs were combined with English wedding traditions resulting a multifaceted wedding day of fun and silliness, emotion and sincerity, elegance and romance. 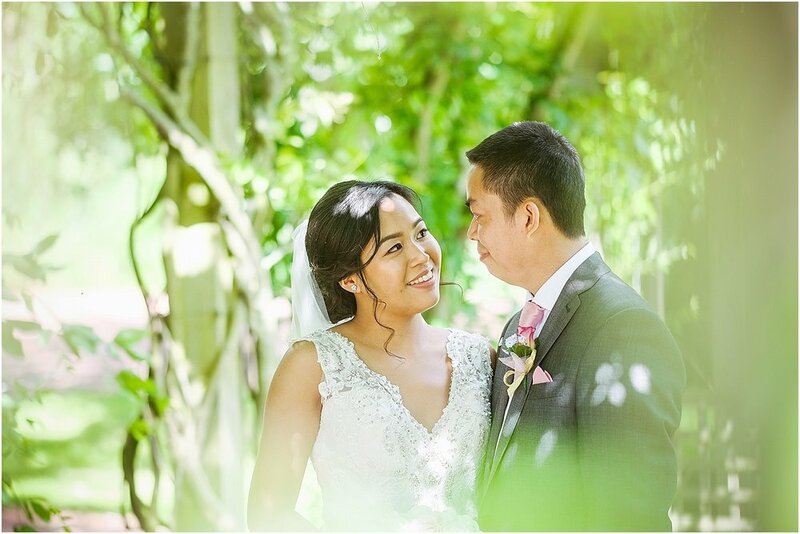 The day started at Fiona’s family home. 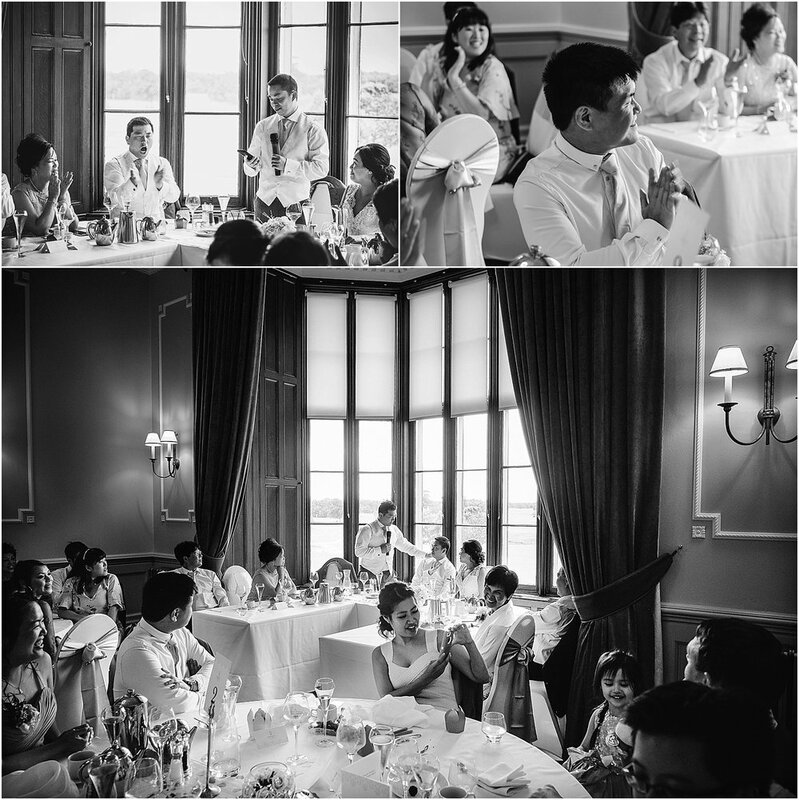 Inside, the ladies were busy getting ready, while outside, the street filled with family and friends, waiting for the boys to arrive. 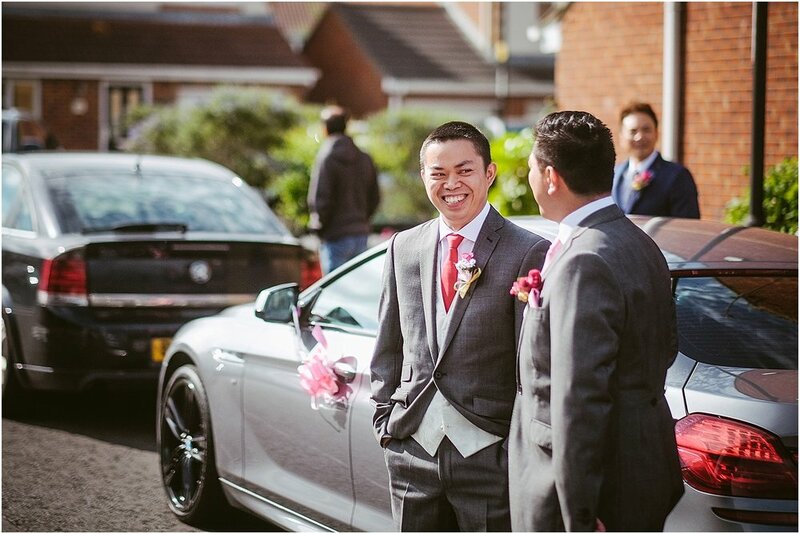 Moments after stepping out of the car, Rico was presented with a series of tasks set by the bridesmaids before being allowed entry into the house to collect his bride. 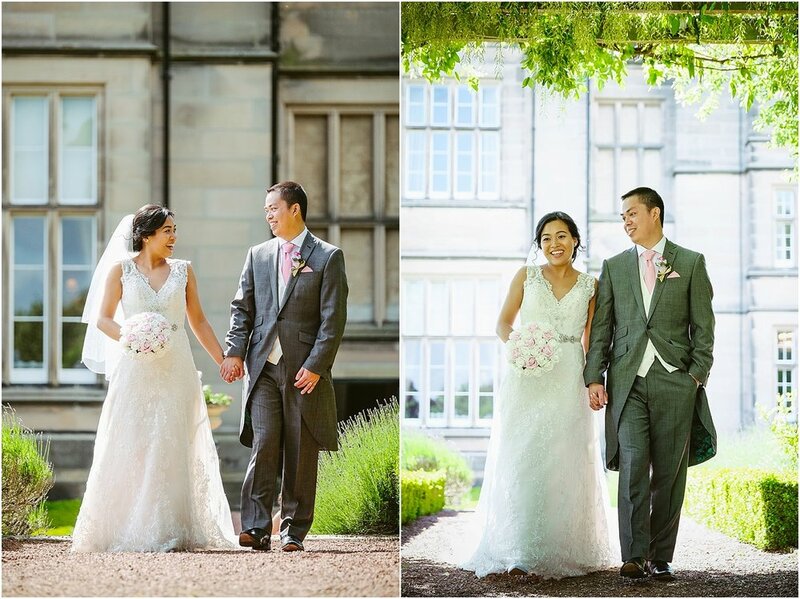 The boys really got stuck into the challenges and luckily, they suitably impressed the girls. 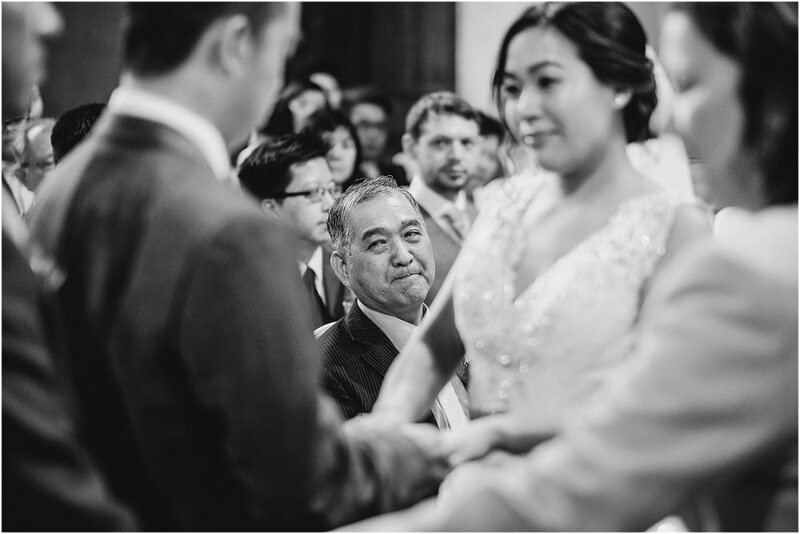 Once allowed inside, they all took part in the traditional tea ceremony before heading over to Rico’s parents home to perform the same ceremony with his family. 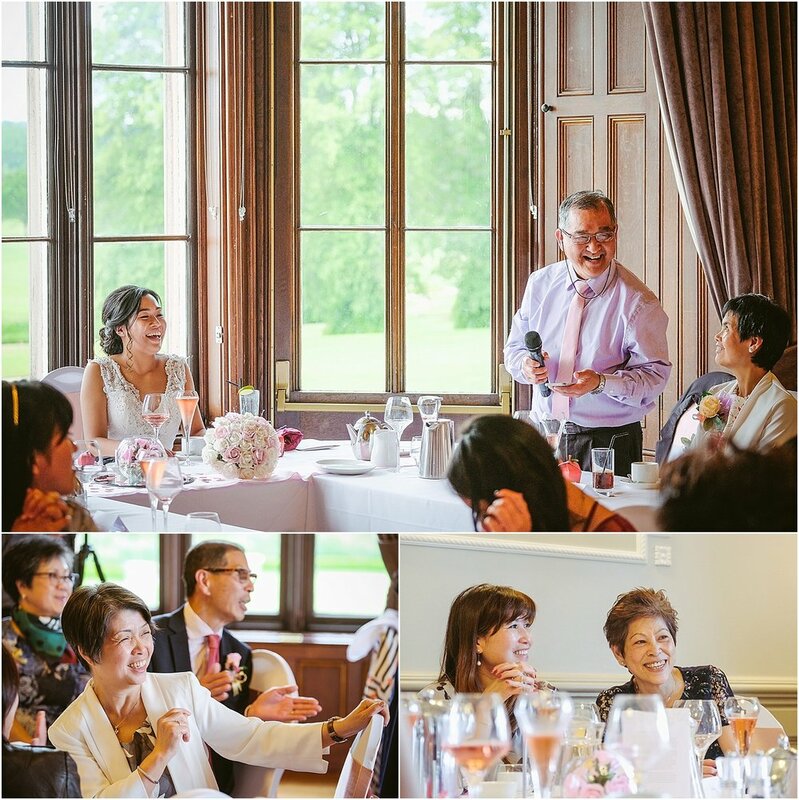 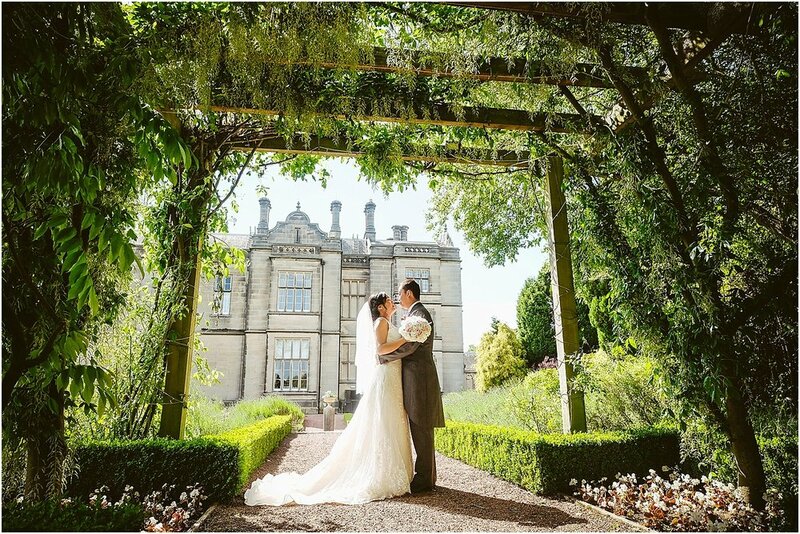 Later in the day, everyone poured over to Matfen Hall in Northumberland for their elegant and very English wedding ceremony and wedding breakfast.